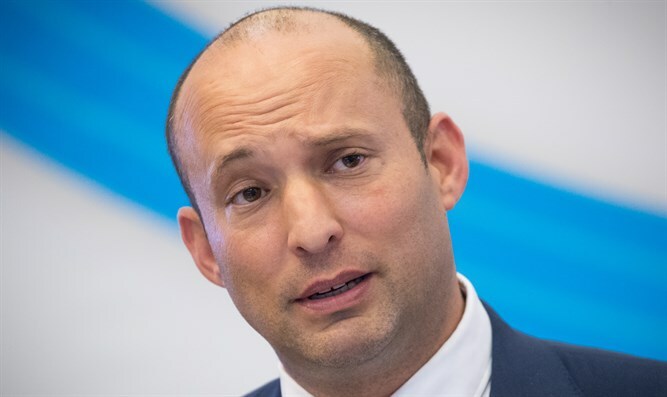 Education Minister Naftali Bennett addressed the issue of humanitarian aid for the Gaza Strip ahead of Sunday’s cabinet meeting. Bennett emphasized that Hamas should not be entitled to a “free lunch” from Israel, and that humanitarian steps must be mutual. “In the last few days we have been talking a lot about humanitarian measures for the Gaza Strip. We have to remember that our sons, both bodies of soldiers and citizens of Israel, are in the hands of Hamas in Gaza, so the formula I will be promoting is: humanitarian aid for humanitarian aid, and without free lunches. “On the other side is a cruel enemy waiting for signs of innocence and free gifts from our side. We should not give gifts for free. Humanitarian aid in exchange for humanitarian aid. Police: Salah to trial for incitement Investigation completed against sheikh who heads outlawed Islamic movement, reveals evidentiary foundation against him.